Diane Gilleland is known in the 'craftiverse' as Sister Diane, the mastermind behind the wildly popular blog and podcast CraftyPod. 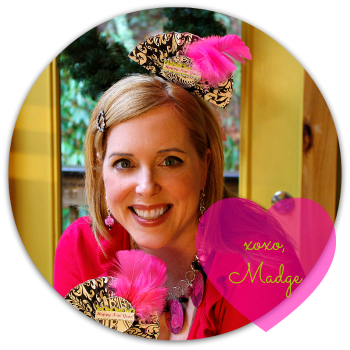 Diane has an innate gift for taking a simple and striking idea and making it fabulous. 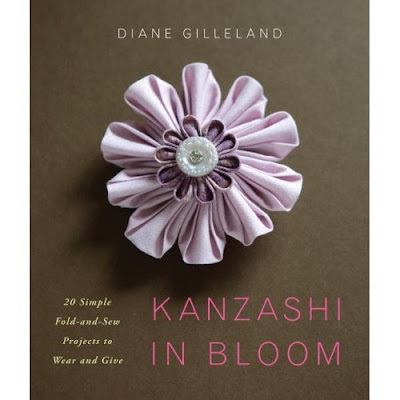 I had never seen Japanese fabric kanzashi blooms prior to getting this book and I was immediately excited to try making some of my own. Diane offers 20 gorgeous ideas here that are beautifully photographed and meticulously stepped out so you can see step by step, petal by petal, how to recreate them. I was utterly impressed with her considerable writing skills and the painstaking research she did to give this lovely art form a context and meaning for the Western crafter. Many craft books are pretty to view, but lack depth of information and high quality writing. Diane gives you both along with cleverly fashioned projects that leave you completely inspired. Every design has a brilliant variation concept. Not only are the projects well crafted, the book itself is a beautifully crafted work of art. I can't wait to try the techniques out for some jewelry and mixed media designs. The best kind of craft book leaves you inspired to create. Diane has achieved that with a brilliant book that I think every crafter should add to their collection. I love the beautiful simplicity of the book's cover. Thank you for sharing your reveiw!